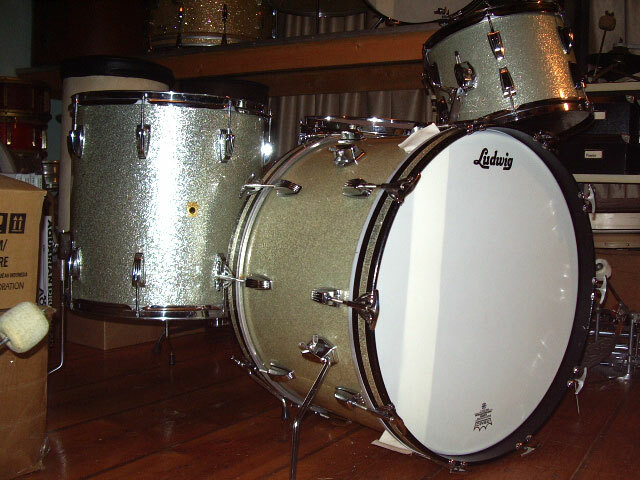 Just arrived from the USA from first owner, beautiful early sixties Ludwig set, like Joe Morello's Silver Sparkle. 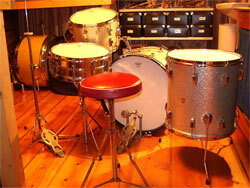 Sizes are 14 x 22 bassdrum, 9 x 13 tomtom, 16 x 16 floortom and the Supraphonic is 5 x 14. 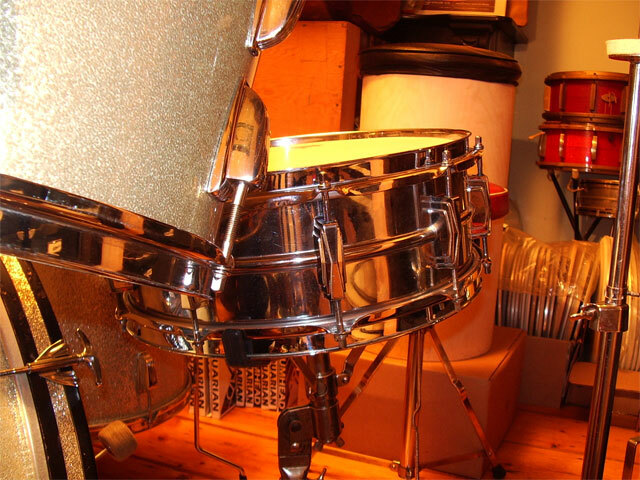 All the hoops are chrome over brass, but not the bassdrumhoops, here we have woodhoops of course with silver sparkle inlay all present, some pedalscratches where the black paint is gone. Some little scratches and small pitting in the chrome but a very clean set. The snare and small tom have a keystone badge with a 4-digit ser. nr. and the floortom and bassdrum have a 5-digit ser. nr. no date stamps. Everything is original, no modifications. 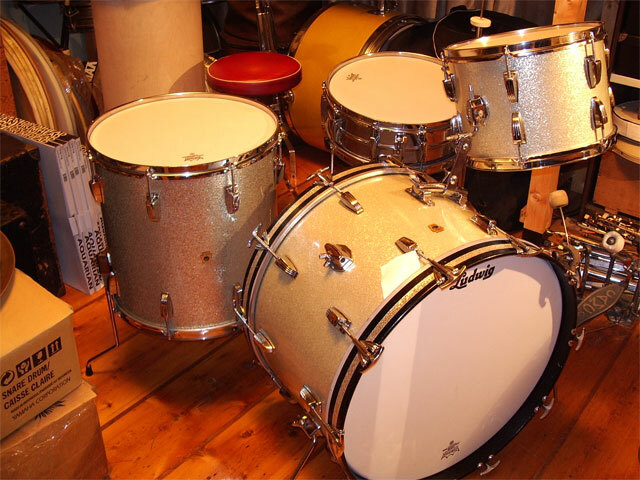 With the coated Ambassadors they sound very extrovert, these are one of the nicest 3ply shells ever made. 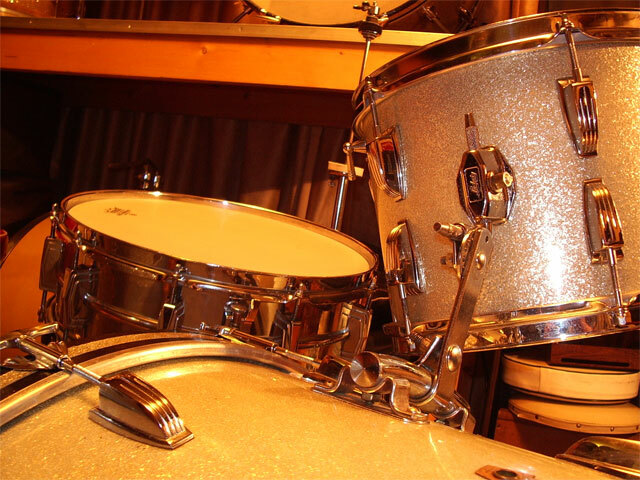 The silver sparkle from the floortom is a little different from the bassdrum and small tom, but the badges, the ser. nrs and all other hardware match. The story of the first owner and anything else says this a born together set. While the difference in the finsh is hardly noticable, this is not a museum piece. This is the early Beatles era when Ludwig worked with a 24 hour shift to recover from backorders! The railconsolette is in perfectly working order and clamps real tight with the hex wrench that is included. No extra holes, all original and in good condition. 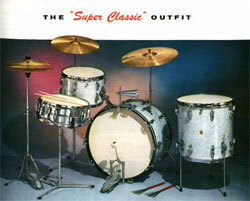 All drums sound perfect, very open and responsive with lots of sustain in all dynamics. 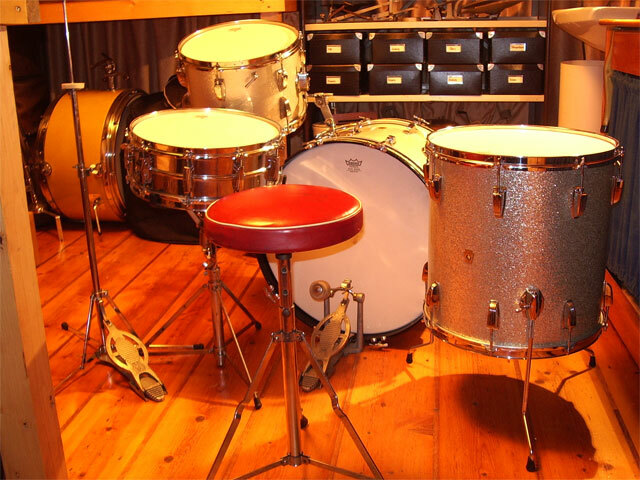 Real fine players or studio set. Unauthorised, copying, public performance and broadcasting of this website content prohibited.